Apart from being mythical beasts, is there anything else special about dragons when we consider them in the context of the occult as a whole? In the occult, Dragons often take the form of a spirit guide, to aid one whilst working with magic. They are an astral being that one can communicate with and over time establish a bond with, and then they will lend their aid to you when called upon. 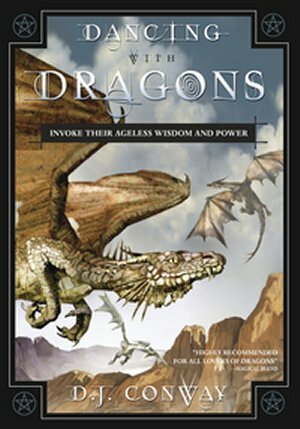 These dragons tend to be aligned to one of the elements (in the classical sense): earth, fire, air, water or spirit; or the more natural elements of the world, such as Mountains, Forests, Seas, Storms, Volcanoes, Light, Dark or Chaos as examples. 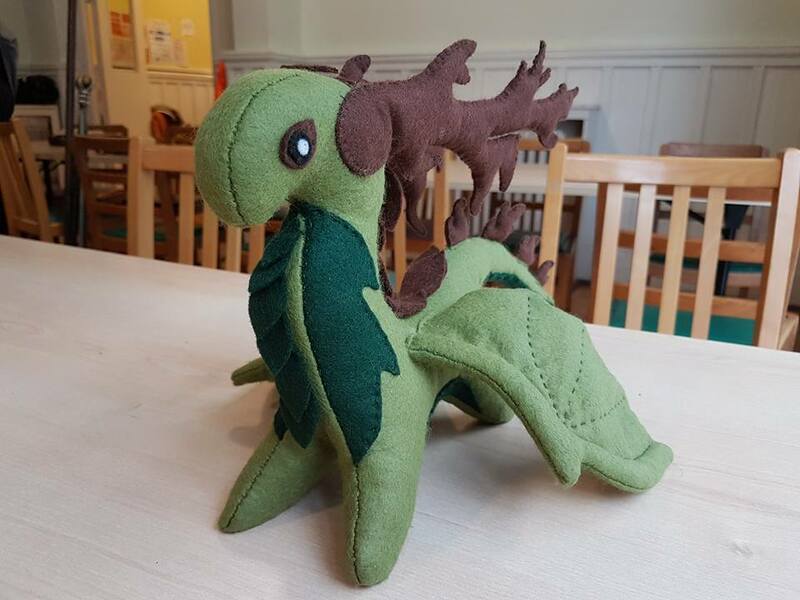 Dragons are thought to have much closer connections to the elemental energies of the world than humans do, thus making them useful to help you out in your own magical workings. Their ancient wisdom is said to particularly help in any sort of divinations, since they are so longed lived that they can often look to the past to see the answers to the future. Dragons have a very diverse symbology. In western cultures they are more often thought of for thier battle prowess and habits of hoarding treasure and killing livestock/people, hence why they were often seen as the monsters in tales and myths about them, a symbol of evil, even thought to be in league with the devil. However in eastern cultures they are seen as a very good symbol representing power, strength and good luck. However all over the world they are associated with the elements, and primordial powers of the world, and all of them are inherently magical, encouraging people to tap into their psychic potential and see the wonder and mystery in the world. 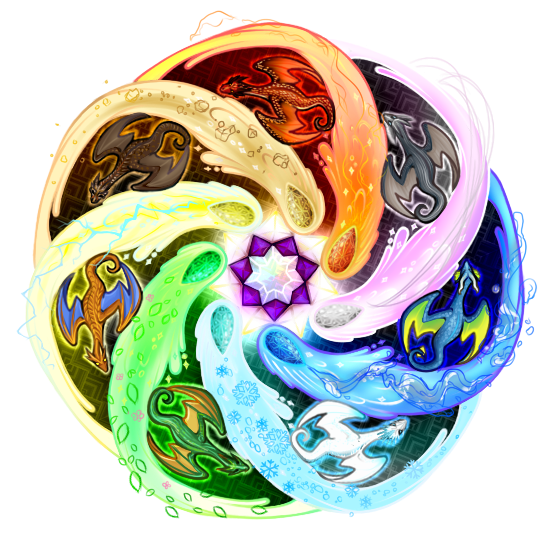 They are also associated with balance, as their magical breaths and elemental powers can both create and destroy, much like the natural elements of the world. In the Yin-Yang symbol, the dragon is associated with the yang (white side with a black dot) side of the coin, yang meaning bright, and represents the active forces in the world including light, fire, rain, and the heavens. 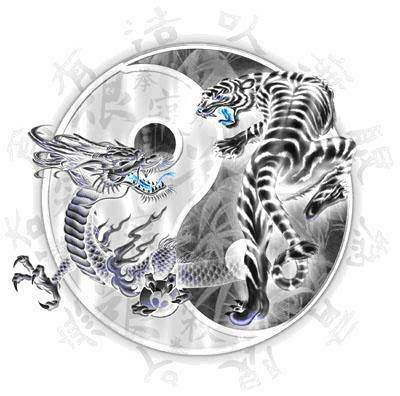 The yin, passive, side of the coin is represented by the tiger.